Russian Prime Minister Vladimir Putin touched on an array of questions in his first ever address to the State Duma. Putin introduced his anti-crisis programme and answered questions from deputies. Putin introduced the government’s anti-crisis programme, sharing with the deputies his conviction that although times are hard around the globe, “Russia has what it takes” to overcome the difficulties. Given that the country is trying to recover from the global financial turmoil, Prime Minister Vladimir Putin definitely said a lot to prove that his ministers are trying to resolve the turmoil. If the proposal is accepted by the deputies, the Russian parliament will then make amendments to the state budget, which could mean an influx of around $90 billion into the state budget to revive the economy. 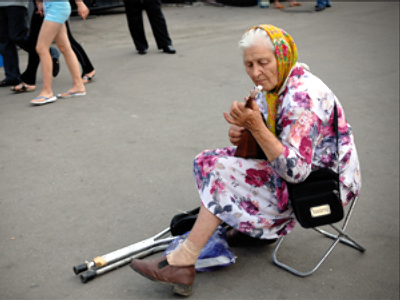 “Anti-crisis measures stipulate 1.4 trillion rubles in funds. On the whole, taking into account the effects of tax cuts, Central Bank funds, the National Welfare Fund and other sources to fight the consequences of the crisis and help the economy rebound, a total of 3 trillion rubles ($90 billion) has been allocated,” Putin said. This would mean a 70% increase of the budget spending on the national economy that would thus reach a record $52 billion a year. “The attempts to force Russia out of the important energy decisions, and ignoring its interests are in fact counterproductive,” Putin stressed, adding that Russia is determined to proceed with the Nord Stream, South Stream, Trans-Caspian gas pipeline and the Burgas-Aleksandropolis oil pipeline that will increase energy security in Europe. He then went on to speak on the development of Russia’s economy overall. Russia’s GDP has grown 5.6% in 2008, with industry growing by 2.1% and, gaining importance around the globe, agriculture by more than 10%, Putin reported. However, Russia had no chance to avoid the global crisis, as it is “as subject to global economic processes as any other country,” according to Putin. He also said that he expected the country to be even more submerged into the global economy, as the custom union of Russia, Belarus and Kazakhstan is to start operating a year ahead of schedule in 2010, instead of 2011. After the Prime Minister’s address, heads of the State Duma factions took the floor to share their views on the proposed anti-crisis measures. Other factions expressed criticism of the anti-crisis program. The leader of another pro-government party Fair Russia, Nikolay Levichev, pointed out that the package provides 14 times more money for the support of financial institutions than for the social programs. The leader of Liberal Democrats Vladimir Zhirinovsky, for his part, noted the lack of support for agriculture, science and army. The opposition Communist Party and its head Gennady Zyuganov demanded that several ministers resign, first of all Finance Minister Aleksey Kudrin. Zyuganov was highly critical of the government’s anti-crisis program and the amended budget for 2009, which he said the finance minister ‘sterilized’. “You now have a rare opportunity to change the course and renew the team,” he told Putin. This was the first time in Russian history that the head of government reported to the State Duma. Putin himself hailed the new tradition, calling it “a major step forward in government development”. 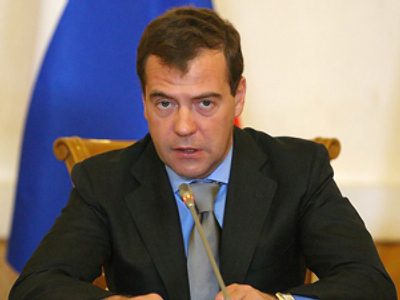 Amendments to the Russian constitution introduced by President Dmitry Medvedev last year provided that, for now, the prime minister was to make annual reports to the State Duma. While some in the opposition were quick to describe Putin’s address as a pure formality, others said that the Duma could subject the prime minister to stinging criticism that would force the president to reassess the government's performance. The majority of analysts, however, agreed that the timing for the first such speech is more than demanding. Experts describe the situation as not only already difficult, but also worsening – but acknowledge that something is being done to tackle the financial fallout. Political analyst Igor Mintusov believes the government is doing the best it can to pull the country out of the crisis. “The question is how efficient those measures are. But, on the other hand, it is naïve to think that we can escape the turmoil by our own actions. Russia will overcome the credit crunch only when major economies will,” he said.